As we write, scientists are trying to find out whether the elusive Higgs boson particle was glimpsed at the Large Hadron Collider (LHC) in Geneva, fueling huge excitement. If the particle, also known as the God particle, was actually there, it will make physics history. The LHC scientists do not yet have enough data to claim a discovery. 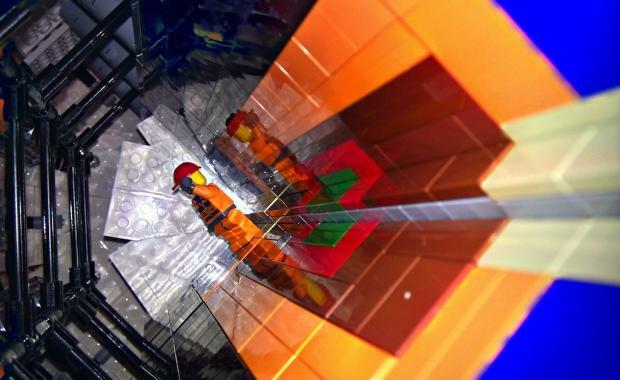 But in the meantime, at home in Copenhagen, one physicist Sascha Mehlhase from the Niels Bohr Institute has made a part of the collider, the Atlas detector, out of LEGO toy bricks. The model is intended to promote alternative methods of learning, and a manual is in the works so anyone can make their own at home! Would you?